Japan isn’t all about history and wars. This can easily be a forgotten fact because of the richness of their culture in terms of these two things. There are a lot of other interesting things you can find and learn about in Japan and this is ultimately what makes people fall in love with this country. They are heavily involved in the latest technological developments in the world which is something that futuristic people love. As stated earlier, they also have a very colorful history which is something that certain people find very interesting as well. Japan also has anime which is loved by many kinds of people.Now for those who like simpler things like shopping and relaxing, you will be glad to know that a country that provides excellent services when it comes to these things. The neighborhood of Kaguarazaka alone should be enough to open your eyes to this fact. The Kagurazaka of Japan, specifically found in Tokyo, is a neighborhood that is considered to be one of the hottest shopping destinations to go to when adventuring Japan. It is filled with all kinds of stores and restaurants that cater to the different tastes and preferences of people from all over the globe which is why people think of it as a place you can go to during January, February, March, April, May, June, July, August, September, October, November, and even December. It wasn’t always like that in this particular area though. The times may have changed but if there was one thing that time couldn’t change about this place, it would definitely be the fact that it has always been a crowded and busy area. It presently pulls in crowds because of the shopping and entertainments attractions found there now but in the centuries prior to that, it originally served as the main road that gave travelers a path around the outer edge of the Edo Castle during the Edo era. This closeness to the castle was what made it a crowded place then because it was seen as a privileged location. By the time the 20th century came, this area had already become a Japanese staple. It was well-known because of the abundance of great geisha houses found there and some of these geisha houses are still there to this very day. This, along with many other factors like its historical value to the people, has given this place a strong traditional atmosphere which is great because it is that atmosphere that contributed greatly to why this area is gaining the attention of both locals and foreigners. Looking at this place from a historical perspective may limit you from seeing why its “booming” in a way. This is because the hype that the area is on right now has little to do with the history found in this area. This hype is there because it has become the yin to the yang of nearby places like the Shinjuku ward, which can practically be referred to as the opposite of the Kagurazaka area because of the edginess and modernity of that ward. In the recent decades, people liked how one place was plainly traditional while the other was simply modern. Given the times now and how the minds of today’s generation are constantly trying to create new things, it was only a matter of time before the very traditional vibe of Kagurazaka was given some freshness through all the hip and modern-themed stores popping up there now. A perfect example of the freshness mentioned above is the presence of French eateries and restaurants in this area. There are also French-Japanese schools here that promote this fresh culture through cultural events, film screenings, and food tastings. Despite this upcoming trend in the area, if you are into the classic vibe of this place, you shouldn’t worry too much about the modernization because the traditional ways and attractions are certainly alive in this area. It is, after all, considered to be an important center of Japanese cuisine as well because many old but famous ryotei are found in the back streets of this area. 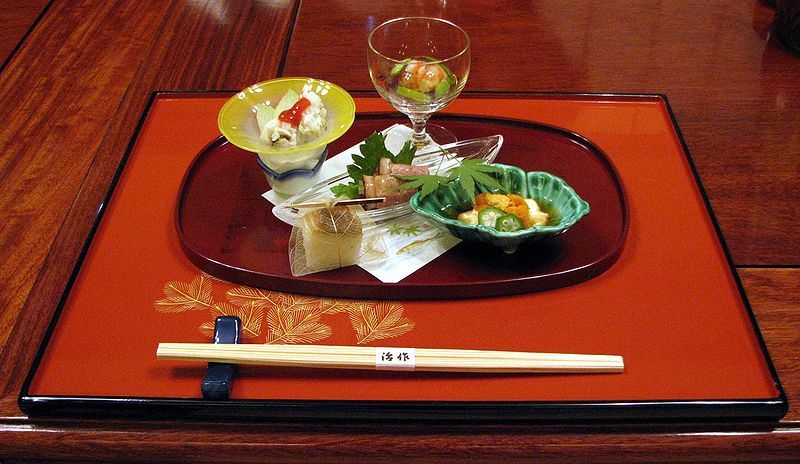 These establishments provide a cuisine called the kaiseki which is referred to as the pinnacle of Japanese food by some. Aside from these ryoteis, the traditional vibe of this place is also kept alive by the geisha found here as well as the shops that contribute to cultural awareness by selling trademark Japanese items like kimonos, sweets, and teas. The history found on the streets and walls of the Kagurazaka area makes it an obvious location for some interesting museums and historical landmarks which definitely serve as a great attraction for tourists who wish to learn more about this colorful history. These museums are informative and fun but when you’re in Japan, the best way to soak in all there is to try different things. Luckily, this neighborhood is like a “Jack of all trades” because it offers several attractions that cater to different and unique interests which a person may have. For any journey, food will always be something you look for. As mentioned earlier, there are several French eateries found in this area but the restaurant called Torijaya Bettei is something different because it is actually another branch of Kagurazaka’s famous “Udon Kaiseki”. The kaiseki was described earlier to be the Japanese cuisine that is the pinnacle of Japanese cuisine so eating in this place will show and teach you a lot about what the Japanese consider the best cuisine in their culture. Dinners in this restaurant start from around 5000 yen above but don’t sweat it if you’re on a budget because eating in this place during lunch makes it feel like a whole other restaurant because of the price change. A good lunch meal here would cost you about 1000 yen which is a huge drop in price if you consider it to the dinner courses that start off at 5000 yen. In any case, since it is considered one of the best things you can try in Japan, it wouldn’t be a waste to splurge on a 5000 yen dinner course if you really wanted to experience it and say for yourself if it really is the best type of Japanese cuisine out there. A store that you should never skip when in this area is the Japanese-style sweets shop called Saryo. Nowadays, you can find this store all over the area of Kaguarazaka but a couple of decades ago, the only place you can get some sweets from this delicious shop was to look for it in the hidden back streets of this place. They offer scrumptious sweet items and, at the same time, also offer all kinds of healthy meals. With this said, their menu can be quite confusing to order from because of the clear contrast of healthy and unhealthy but either way, whether you choose to get a sweet treat or a healthy meal, you can be sure that it will be delicious and that it won’t disappoint. Aside from the food to be found here, you will be glad to know that there are also quite a few famous sightseeing locations. The list of these places is quite long but a sure spot taker is the Akagi Shrine. The Akagi Shrine you can see in Kagurazaka nowadays is completely different from the original Akagi Shrine. This is because it was completely resigned in the year of 2010 by the renowned Japanese architect named Kengo Kuma. This is one of the few remodels that happened with a shrine in Japan and this one turned out to be one of the best remodels because Kuma was able to create a beautiful and modern version of a Shinto holy site. You should also know that the shrine isn’t the only thing to be enjoyed here. There are also recurring markets and seasonal events that are hosted here to it would be wise to plan your bookings ahead to maybe be in Japan during one of these seasonal events to experience what festivities in shrines can be like. If you are looking for a more traditional shrine to go to, you may opt to visit the Bishamonten Zenkokuji. It doesn’t get any more traditional than this shrine as for as the Kagurazaka area is concerned because it was the one and only, Tokugawa Ieyasu, who founded this particular shrine in the year of 1595. If you don’t know about Tokugawa Ieyasu, you should read up on him to find out how marvelous of a warrior he was but for now, knowing that he was a big star in Japanese history should be enough to help you appreciate his involvement with this shrine. The current location of this shrine was moved in the late 18th century but the structure itself was kept by the neighborhood as a symbol. There are a bunch of other things you can do and go to in this area but before you can go to any of those places, first you have to know how to get there in the first place. Luckily, this place is very accessible because it is in Tokyo so it is very connected to many modes of transportation. Amongst all the ways to get to Kagurazaka, which is found northwest of the Iidabashi Station, using the JR Chuo Line, Tokyo Metro Tozai Line or the Toei Oedo Line to get there is the easiest and fastest way. Since it is in Tokyo, finding a place to stay shouldn’t be a problem. This place is filled with all kinds of establishments that provide accommodations so it’s really a matter of preference when deciding where you want to stay. If your main priority is to go around the area of Kagurazaka though, it would be wise to find a hotel that is very near the place to save time and energy on your part. This doesn’t necessarily lessen the list of possible locations very much but there is a recommended hotel specifically for those who wish to tour Kagurazaka. This hotel is the Hotel Gracery Shinjuku. 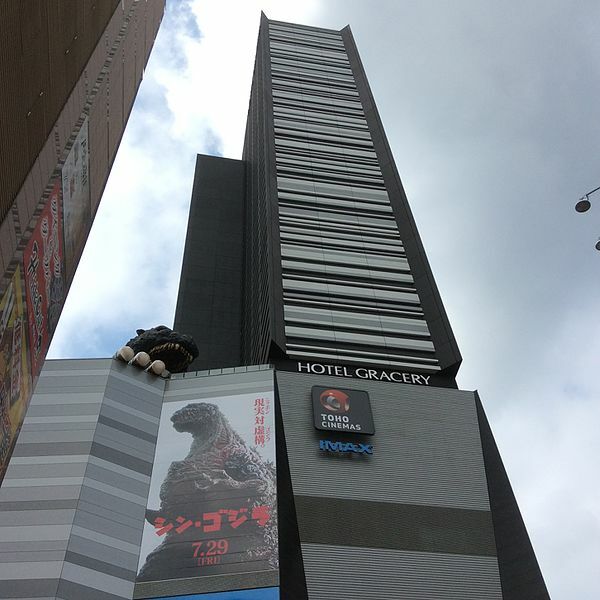 The Hotel Gracery Shinjuku is a famous hotel in Tokyo. It is a well-known establishment because of their great quality of service as well as the amazing views of Tokyo that their rooms offer their customers. In addition to their great work as a hotel establishment, their location is an ideal one because they are only a 5-minute walk away from the Shinjuku Station. Staying a night over at this hotel would cost you around 15,000 yen for one night. That may be quite expensive for some but if you stop and consider all the amenities and services you can avail of for the said price, you might start to realize that spending that much for all those things isn’t too bad. After all, you are in Japan to enjoy your time so if it won’t hurt your budget too much, do not hesitate to splurge on this great establishment. Given all the news and information about this area that is filled with back alleys and sloping streets, it becomes pretty clear that is has become a location where you can enjoy the mix of traditional Japanese culture with the modern Japanese culture. It also happens to have enjoyable attractions to keep you occupied for your whole trip. All you really need to do to ensure a fun and a memorable trip is to plan in advance, so that you can maximize your time in Tokyo or in Japan. Once that is done, you can just go with the flow and relax while you bask and explore the beautiful neighborhood of Kagurazaka.